Top 10 Popular Pushchairs For 2019 - Which? 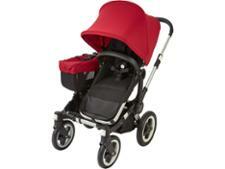 Discover the pushchairs that are most searched for and sought after, and find out the prams that are Which? Best Buys. We've tested hundreds of pushchairs to help you identify the buggies that are safe, durable and easy to use, comfortable for baby and bursting with useful features. But in addition to those pushchairs which have the Which? 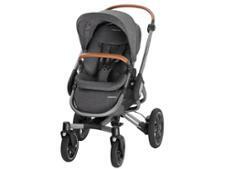 seal of approval, which prams are parents seeking out? We’ve crunched the numbers and can reveal the top 10 most popular pushchair reviews based on searches on Which.co.uk over the past three months. They range in price from £150 to £1,000 and the list includes travel-system-compatible pushchairs, lightweight strollers and convertible single-to-double prams. Silver Cross, iCandy and Maxi Cosi are getting the most attention from those shopping for a new pram, each having two of its pushchairs in our top 10, including the iCandy Peach All Terrain which was launched at the start of 2019 and has already made it into our top 10. 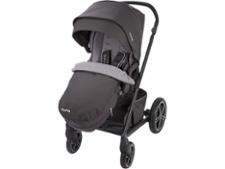 Keep reading for a run through of the top 10, or head straight to our best pushchairs to find out the best on test. Source: most visited Which.co.uk pushchair reviews from 16 December 2018 to 16 March 2019. 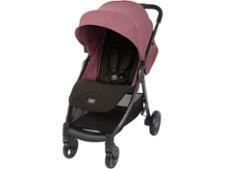 Which popular pushchairs are Best Buys? We've found that popularity doesn't necessarily equal an excellent pushchair – in fact, the buggies listed above range widely in score, and in terms of price there’s a £850 price difference between the cheapest and the most expensive. Read the reviews for each pushchair below to find out which are Best Buys and are worth picking up. If your favourite isn't in our list, browse all of the buggies we've tested in our pushchair reviews. 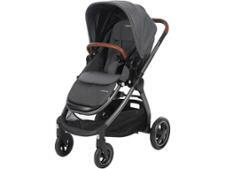 The Uppababy Cruz has been a bestseller for the brand for a number of years. It’s a travel-system-compatible pushchair that also has a reversible seat unit, so your baby can be parent or world-facing. There are a few changes between the 2015 and 2017 version, so if you’re thinking about investing in the Cruz read our review to see if the updates make a difference. 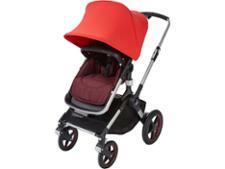 The highly anticipated Bugaboo Fox is the newest pushchair from the premium Dutch brand. It’s undoubtedly expensive, but is it worth investing in? 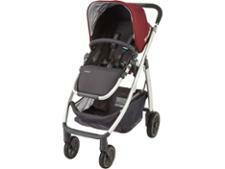 It’s suitable from birth, travel-system compatible and it boasts a generous 10kg shopping basket. Bugaboo also claims the Fox has the ‘best drive performance yet.’ If you’re tempted but want to make sure it’s the right pushchair for you, make sure to read our review and check out the star ratings. The fifth-generation iCandy Peach travel system has hit the shops, and whether you’ve owned a Peach in the past, bought the Peach Blossom for your twins, or simply salivated over iCandy’s sleek good looks and pulse-quickening price, this latest 2018 Peach is packed with new features designed not to disappoint. Read our review to find out our verdict on this new and improved bestseller. The Silver Cross Pop pushchair might be lightweight and compact, but this stroller can take passengers weighing as much as 25kg. 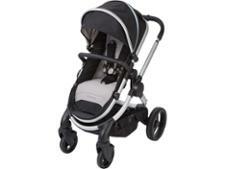 It has a lie-flat seat, which means it’s suitable to be used from birth, however it's not travel system compatible like the Silver Cross Reflex. But what is it like to push and is the seat going to be comfortable for your little passenger? We took it to our lab to find out. The Silver Cross Pioneer is billed as ‘big, bold, generous and robust’, and it’s certainly a sturdy and stylish-looking pushchair. It’s designed to cruise city pavements and also tackle tougher terrain, thanks to its four-way suspension and all-terrain tyres. We've fully tested the Pioneer, so if you're tempted by this pushchair, find out all about it in our full review before parting with your cash. An enduring favourite, the Mamas & Papas Armadillo has been around since 2013, and it’s a popular choice for parents looking for a lightweight, travel-system-compatible pushchair. The seat unit isn’t reversible though, and the handlebar isn’t adjustable. Are those the only issues we found while testing? Read our review to get the full rundown. No hands are needed to fold the Maxi Cosi Nova 4 Wheels, just a tap of your foot to fold this new pushchair from Maxi Cosi. It has a reversible seat and can be used with a carry cot or car seat instead of the seat unit, but is it easy to push and will your child be happy to sit in it? 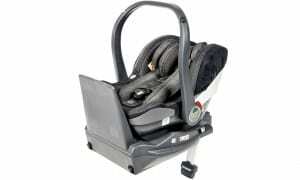 See what we found when we put it through our stringent pushchair tests. Designed to comfortably transport your little one from birth right through their toddler years, the manufacturer claims the Nuna Mixx will last until your child is 20kg, which is around five or six-years old. This pushchair comes with a lot of features, including a reversible seat, one-hand recline and lockable front-swivel wheels. But is it easy to use and is it practical? Read our review to find out how it fared in our tests. 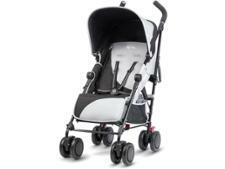 According to Maxi Cosi, the Adorra is the complete package from birth to approximately 3.5 years. It has a reversible seat so your child can be world or parent-facing, and it’s suitable to use with a newborn baby thanks to its lie-flat seat position. Find out how easily it folds, whether it can cope with a range of surfaces and if there’s anything you should watch out for in our review. 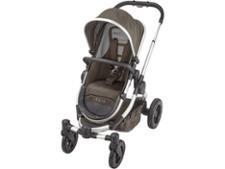 The popular iCandy Peach All Terrain had a makeover for 2019. It's not cheap, but the new version can be a three or four-wheel buggy, and you can also convert it from a single to a double. 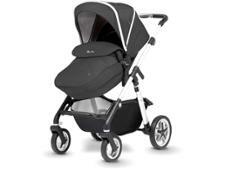 iCandy claims to have made more than 70 enhancements to this pushchair, but did it wow our parent-testers? Read our review to find out. The recommendations and scores in our table above were correct as of March 2019. A pushchair is an investment: the average cost of those currently on sale that we’ve reviewed comes in at £422. We want to help you make the best buying decision for your family, which is why we send the newest prams, buggies and strollers on the market for testing at our lab throughout the year. Safety and durability are vitally important, so every pushchair we test endures a rolling road test, where it’s strapped to a specially designed treadmill, loaded up with the maximum weight in the shopping basket and a 15kg dummy, designed to replicate a toddler. It then has to last being wheeled and bumped for more than 200km without breaking or being damaged. 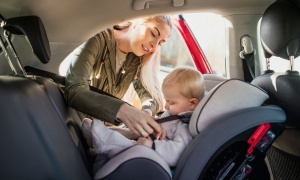 In addition we check for any choking hazards and assess the safety of brakes and harnesses, as well as the strength and durability of the handlebars, so you can be sure your baby will be kept safe. Our parent panel and their children also get their hands on all the pushchairs we test. They carry out a range of tasks, including pushing, steering, folding, carrying and adjusting; to see how easy each one is to use and how the pushchairs handle on different ground surfaces. *We surveyed 2,000 parents in March 2017.